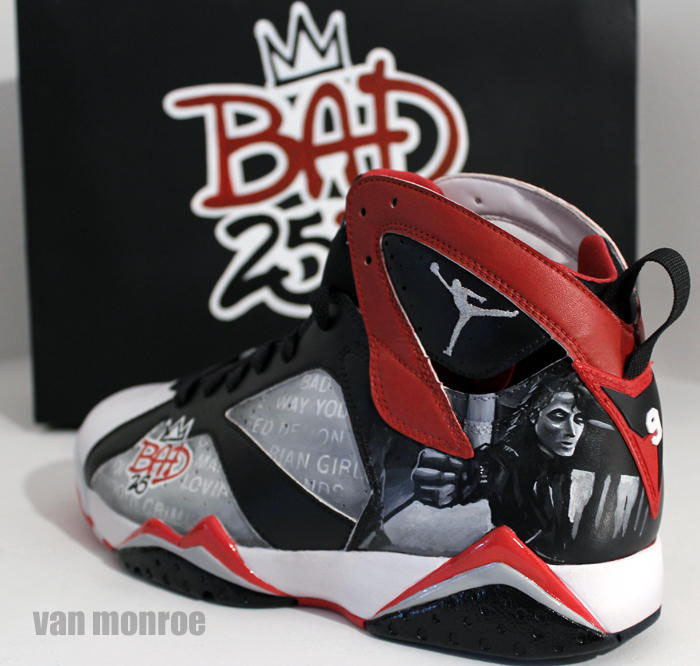 Premiering his "Bad 25" Michael Jackson documentary today at the Toronto International Film Festival, legendary director Spike Lee wore a custom pair of Air Jordan 7s. Premiering his "Bad 25" Michael Jackson documentary today at the Toronto International Film Festival, legendary director Spike Lee wore a custom pair of Air Jordan 7s. 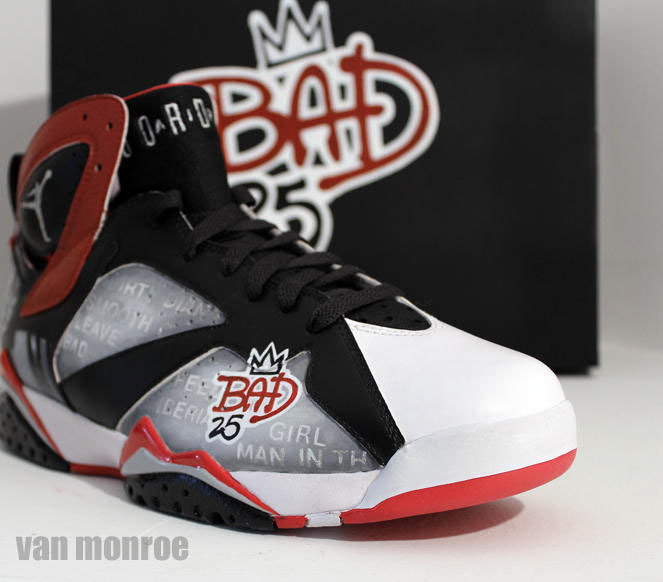 Designed by Van Monroe, the kicks reflect the Bad album artwork with a black, red and white color scheme, MJ graphics and song titles painted throughout the upper. The official documentary logo also appears on the lateral forefoot. This isn't Van's first one-of-one for Spike. Last month, he sent over the "Red Hook Summer" Son of Mars. 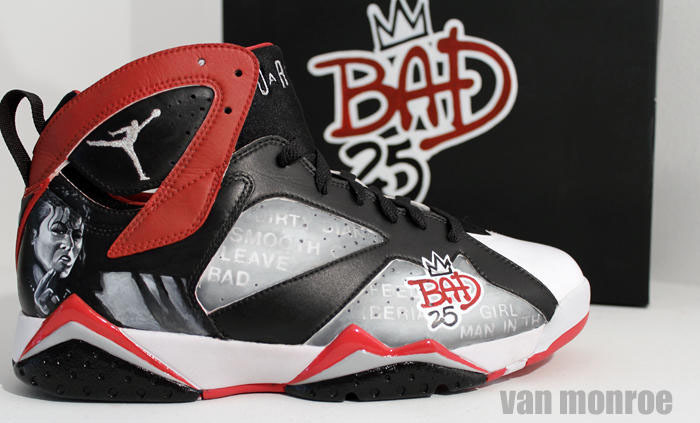 More photos of the "Bad 25" 7 below.